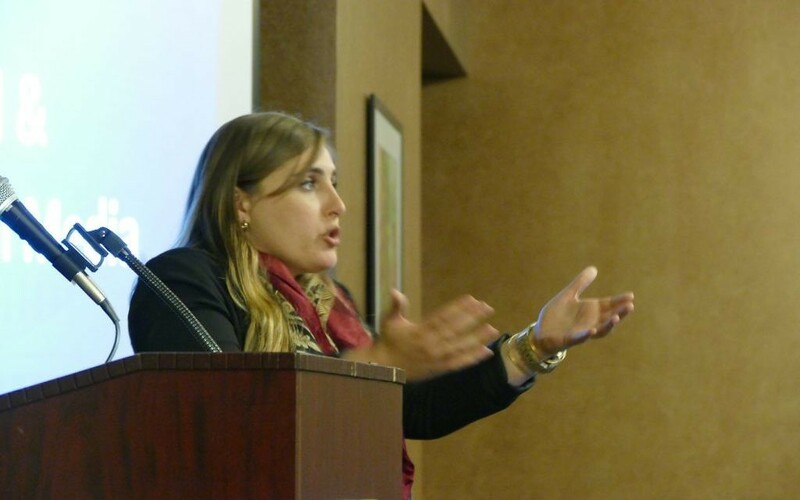 The perception of Israel is often off; it’s a myth when individuals believe Israel is just like the U.S.
Adi Luria from the Israeli Embassy urges students to engage in social media in a positive way. 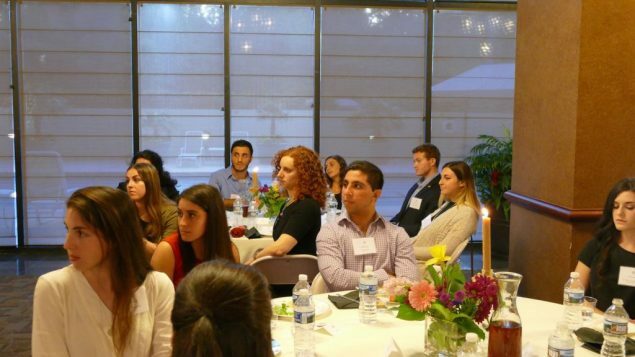 The delegitimization of Israel on college campuses and the effective use of social media were among the topics of discussion at the consul general’s home. “It saddens me to see efforts to delegitimize Israel, but you are our first line of defense. I was impressed to hear about the pro-Israel celebrations on every campus and thank you again for your influence,” Shorer said. 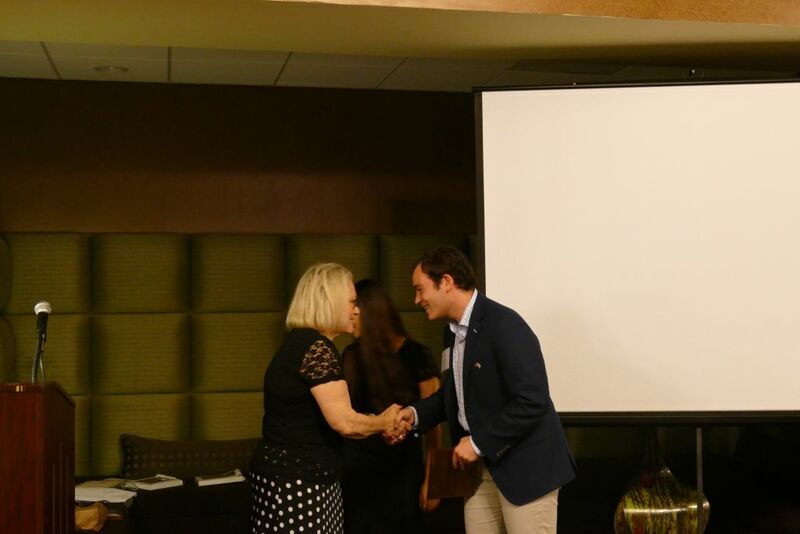 Emory graduate Jake Greenberg receives the Hillels of Georgia Ally of the Year award from Consul General Judith Varnai Shorer. 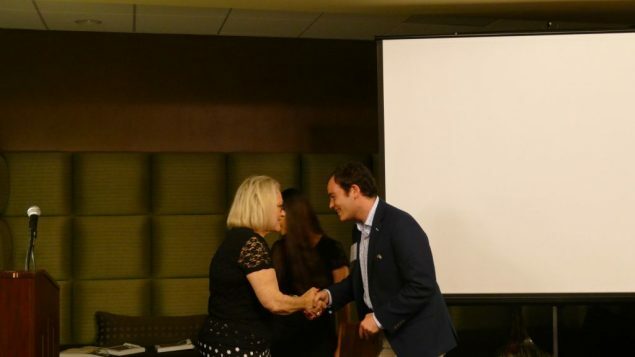 She and Hillels of Georgia’s Israel fellow, Moran Shaboo, presented awards recognizing students for their support for Israel. 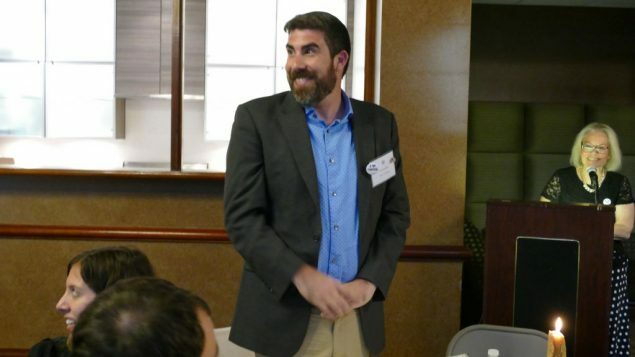 Emory graduate Jake Greenberg received Hillels of Georgia’s Ally of the Year award. 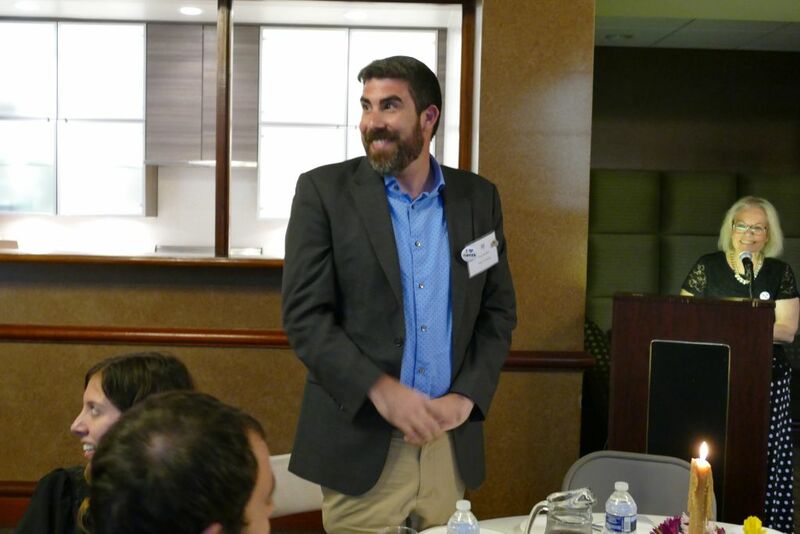 Addressing the need for further pro-Israel engagement on college campuses, Hillels of Georgia Executive Director Russ Shulkes explained the continual struggle Jewish students feel on campus and spoke of his own experience with undergrads. The evening’s main speaker, Adi Luria, the digital media director at the Israeli Embassy in Washington, offered a short presentation on positive social media engagement and the ways that major U.S. events, such as presidential elections, can shift perceptions of Israel. Luria said countries are like brands, and Israel’s brand is not attractive but is in the same class as the National Rifle Association. 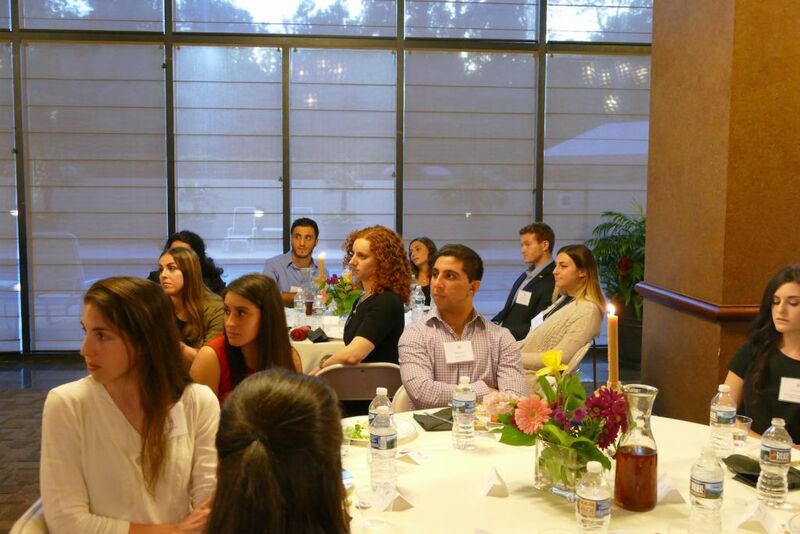 Students from metro Atlanta college campuses are thanked for their pro-Israel efforts. She said last year’s elections shifted U.S. citizens’ perceptions about Israel based on party alignment: Favor toward Israel increased among Republicans and decreased among Democrats. Hillels of Georgia Executive Director Russ Shulkes is recognized for his efforts to support pro-Israel students on campus. Yet digital platforms are just one path to interaction. Luria said a person-to-person discussion is even better.